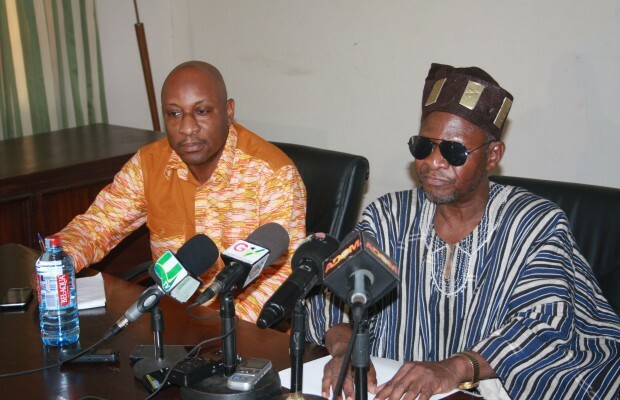 Minister for Chieftaincy and Traditional Affairs, Dr Henry Seidu Daanaa has called on aggrieved royals and chiefs to settle chieftaincy disputes in courts to avoid violence. According to him, the best way to resolve disputes in chieftaincy issues was to refer them to the Regional House and Chiefs, the National House of Chiefs or even the High Courts. “What the ministry will like to urge is that we are in a modern democratic system and the way forward is having cases resolved judicially. Indeed those who feel aggrieved about natural justice or any other rules of justice can even go to the High Court but let us not use any other means,” Dr Daanaa admonished in an interaction with the media on Monday in Accra. Statistics from the Ministry indicates that the Ashanti Regional House of Chiefs had 39 cases pending before it. Brong Ahafo had 50 cases; Central Regional, 39; Eastern 13; Greater Accra, 10; Northern Region, 7; Upper East, 8; Upper West, 13; Volta, 31; Western, 42 and National House of Chiefs 103. It could be recalled that renewed chieftaincy violence had erupted at Bunkprugu in the Bunkprugu-Yunyoo district of the Northern Region, claiming about three lives. Commenting on the issue, Dr. Daanaa urged the judicial council of the Northern Regional House of Chiefs to act quickly to give judgment on the Bunkprugu case to avoid further clashes. He asserted that Ghana would have been free from the nasty situation of Chieftaincy disputes and violence if the country had all the Legislative Instruments (LI) on the various stools.